Coresonant offers the best and quality assured RFID Library Management in India. RFID Library Management India is used in library for maintaining the records of issuing, reissuing and returning of books. It also helps to get to know about book information and library member information to the library management system without any need of manual typing. Our product also comes with searching and monitoring facility. By using RFID handheld reader of it, the searching module provides the fast searching of books. You can also verify the materials of stock/accounting by using our products. And the monitoring module continuously monitors the movement of books, so that the books taken out without permission of the authority will be traced out easily. 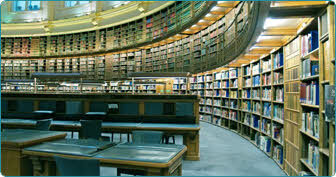 Our company offers a variety of RFID Library Management system.